Indo-Hungarian EEP 2013 - Premanand Edward Malayakal. 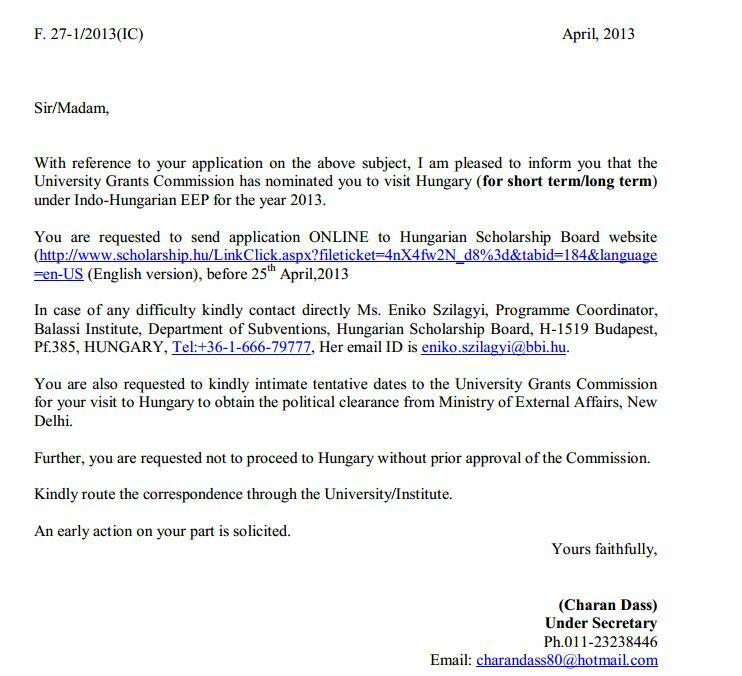 under Indo-Hungarian EEP for the year 2013. Pf.385, HUNGARY, Tel:+36-1-666-79777, Her email ID is eniko.szilagyi@bbi.hu. 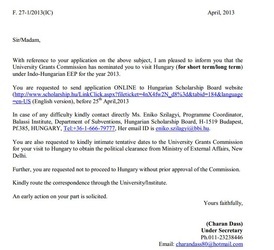 Further, you are requested not to proceed to Hungary without prior approval of the Commission. Kindly route the correspondence through the University/Institute. An early action on your part is solicited.